CerTest Clostridium difficile Toxin A+B one step combo card test is a coloured chromatographic immunoassay for the simultaneous qualitative detection Toxin A and Toxin B of Clostridium difficile in stool samples. 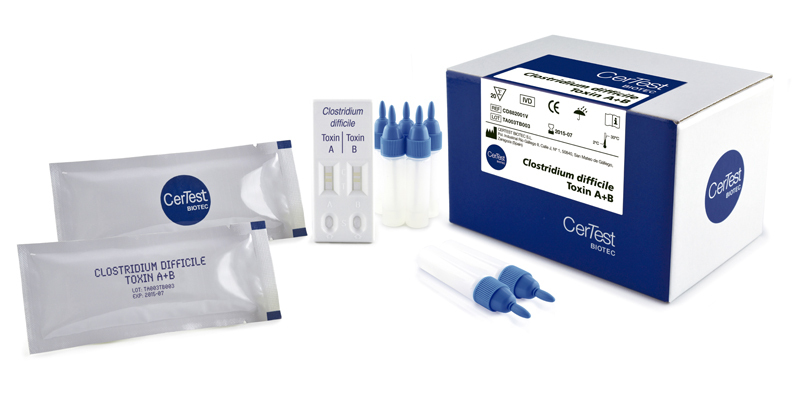 CerTest Clostridium difficile Toxin A+B combo card test offers a simple and highly sensitive screening assay to make a presumptive diagnosis of Clostridium difficile infection. Clostridium difficile (C. difficile), a Gram-positive spore bearing anaerobic bacterium is the major aetiological agent of diarrhoea and colitis associated with antibiotics. C. difficile is the most common cause of health care-associated diarrhoea in developed countries and is a major source of nosocomial morbidity and mortality worldwide. Disease due to C. difficile develops when the organism is allowed to proliferate in the colon, most commonly after antibiotic use has eliminated competing flora. C. difficile can release two high-molecular-weight toxins, toxin A and toxin B, which are responsible for the clinical manifestations, which range from mild, self-limited watery diarrhoea to fulminant pseudomembranous colitis, toxic megacolon, and death.  The toxigenic culture (TC) is used as the gold standard echnique to determine Clostridium difficile infection. This method consists in culture and isolation of C. difficile from faeces, followed by toxin testing of the isolate, a labour-intensive assay to obtain a result.